Most of our clients are open to new ideas and idea pitches from competitors. Covering and servicing existing clients can be the difference between an existing client up-sell or referral and an existing client exit. Coverage and service become factors during transactional and non-transactional times. 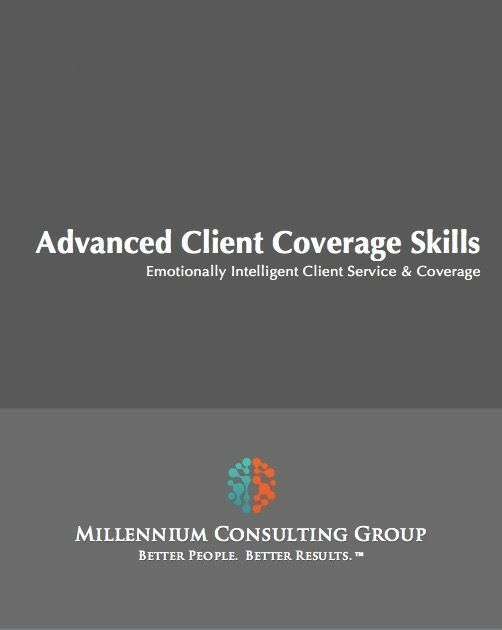 Elite financial professionals are masters of client service/coverage. They focus their efforts on strategies to position themselves, and their organization, as indispensable and irreplaceable advisors to the client.